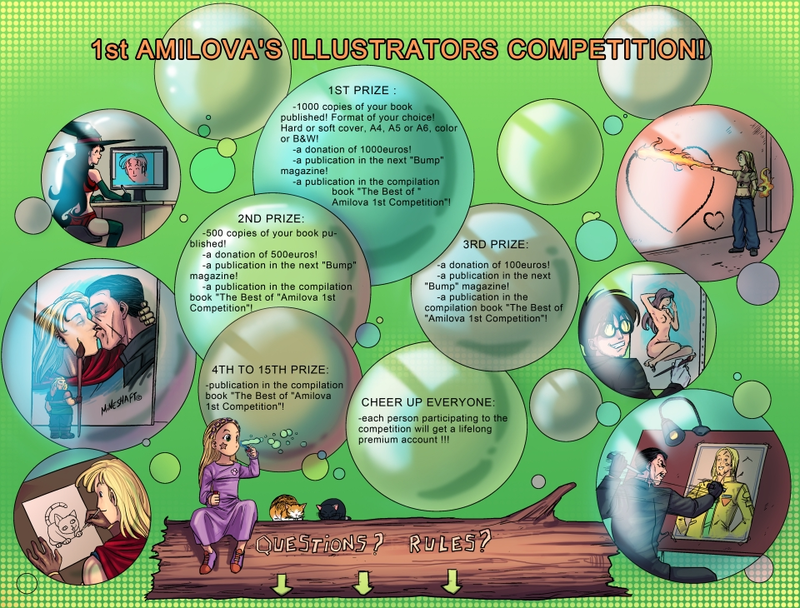 1st AMILOVA'S ILLUSTRATORS COMPETITION ! 1000 copies of your book published ! Format of your choice ! Hard or soft cover, A4, A5 or A6, color or B&W ! a donation of 1000euros ! a publication in the next "Bump" magazine ! a publication in the compilation book "The Best of "Amilova 1st Competition" ! 500 copies of your book published ! a donation of 500euros ! a donation of 100euros ! each person participating to the competition will get a lifelong premium account !!! PURPOSE OF THE COMPETITION ? publish a Comic or Manga on Amilova and get top votes from the public and the jury ! 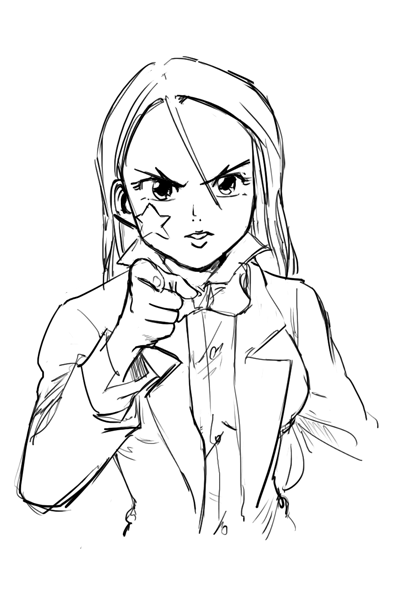 can participe : any kind of manga or comic ! All categories accepted and welcome. several illustrations of the project. 5 to 10 pages that give a clear idea of what will be the project is ok.
competition start 15th of october, ends 15th of february 2012. During this period, you MUST publish a minimum of 2 pages per week, or you will be disqualified. know that you can, in your author interface, publish as many pages as you want in advance and decide of the release pace ;). So for example, if you already have 80 pages of your comic, you can upload everything today, tell the system to automatically release 3 pages per week, and do nothing more until the end of the competition ;). publish your stories in english, fans will translate them in french, Portuguese, spanish, and various other nice languages ;). Royalties for the publication of the winning books will be decided on a standard contract. The donations are a bonus on royalties. Inscriptions must be sent to "competition@amilova.com" before 30th of September 2011 !